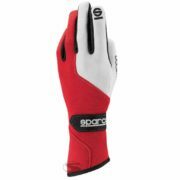 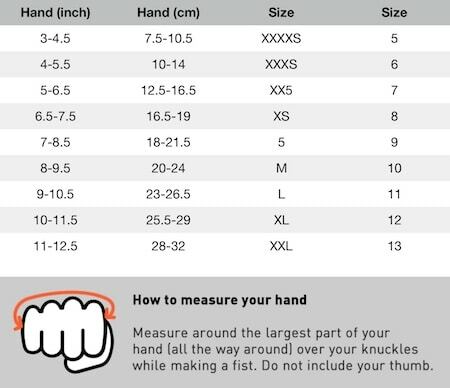 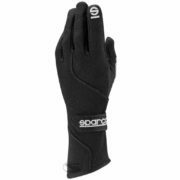 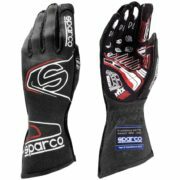 The Sparco Lap RG-5 racing gloves are an excellent mid-range option. These racing gloves come in five stylish colours and are approved to FIA 8856-2000 & SFI 3.3/5 standards. 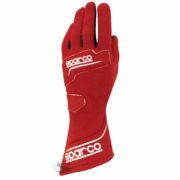 The Saprco Lap RG-5s are made from a high quality Nomex material and have been design with ergonomics in mind. 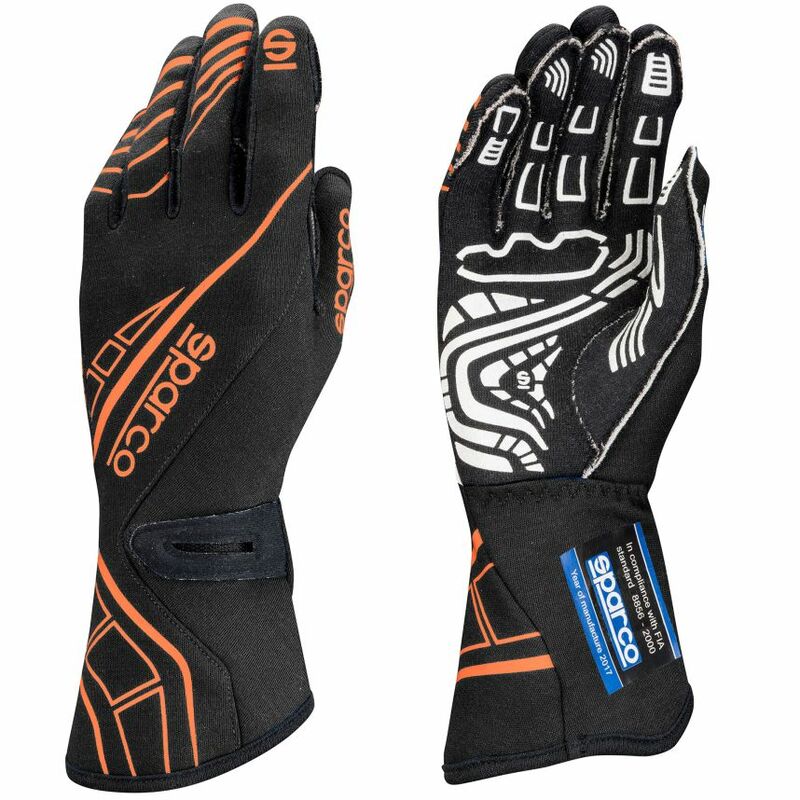 The palm and fingers include a thin silicon print, which massivly improves grip on the steering wheel and gear lever. The wrists are secured with a velcro strap, meaning the Sparco RG-5 have a great fit.